NW3 interiors believe it’s important to advocate and support other local businesses and establish strong relationships with local designers, suppliers, architects and estate agents. This is to provide our clients with a network covering all aspects of a re-design, renovation or home-move ensuring a quality project from start to finish. Whether it’s sourcing furniture at the best price for you or designing entire areas, we provide a variety of tailored services to meet your interior needs. Collaborating with architects is essential in order to maximise the potential of space, working closely to create a high-standard end results. All interior choices are chosen specifically to work harmoniously with those established already by the architect. These are crucial elements to create seamlessly beautiful projects from the inside and out. NW3 Interiors have designed a number of residential projects, including; lounge/dining, bedrooms, kids bedrooms and bathrooms and designs for the entire home as exampled by our projects, developing concepts, creating floor-plans, mood-boards and visuals. Carly Madhvani is a certified designer and an Associate of the British Institute of Interior Design (BIID). If you’re interested in a potential collaboration or wish to discuss further please contact us here. 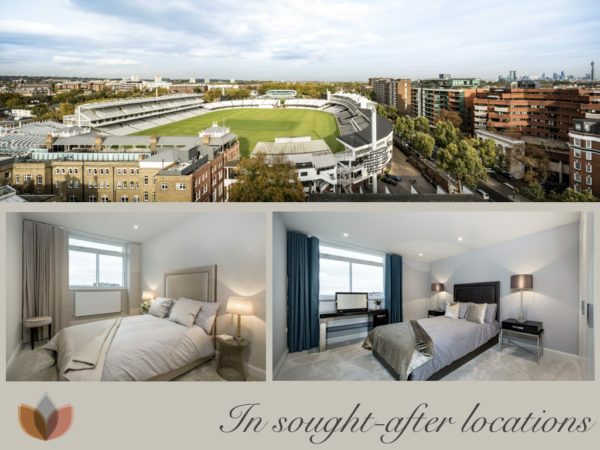 NW3 Interiors engages in space planning, site visits, and co-ordinate with trades on site, making us the perfect choice for developers as well as private individuals. Our terms and pricing are competitive. Plus, direct liaisons with the factories and suppliers enables us to speed up or slow down the delivery of furniture and statement pieces to co-ordinate with the project. We can save you time by understanding the many options out there, as well as going the extra mile to ensure you have up-to-date product information. Impress your clients with access to samples, brochures, images and often the furniture itself. If you want to put your client’s mind at ease, NW3 Interiors’ reputation as a helpful and resourceful design support service is your better choice. To discuss working on a project you can contact one of the team here. It was such a pleasure working with Carly. We loved her energy, creativity and ability to make quick and sensible decisions for the Sylvan Glade Grand Design’s house. She can truely reflect the personality of her clients through her distinctive and beautiful design. We would highly recommend her! I value your expert record of how to join the architecture, its interiors, interior design and selection of modernist furniture into my clients stunning home. You have added a layer of invaluable design language to their already extraordinary home.